Hi, Riley! Can you tell us a little about you and what you love to do? First I'd like to thank you for the chance to get to know me and my artwork. As you know, my name is Riley, and I'm from the United States. I am a young adult who enjoys cartoons and anime. I also enjoy drawing my own original characters. I draw myself as a character who is part bat and part human. You may recognize her through my avatar or other artwork I've featured through various web pages. I have autism, and I only mention that because I believe it gives me a unique perspective and my attention to detail. 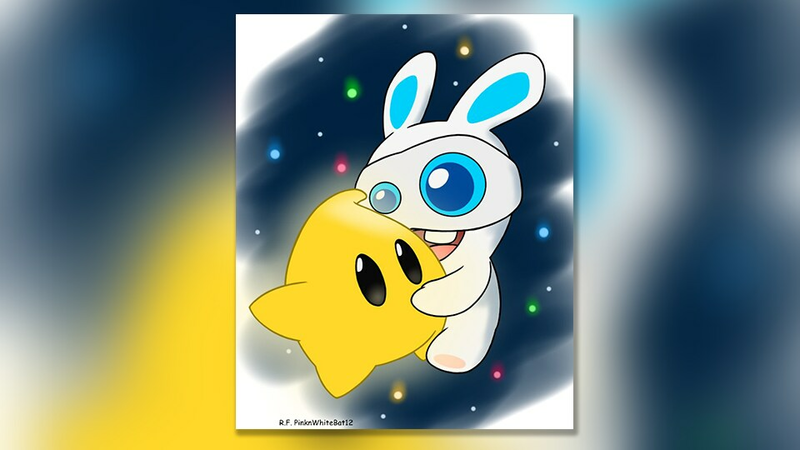 We can see that you’re quite the artist, and Rabbids have popped up in your art! Who is you favourite character to create art around? Your Rabbid Kong stuff is particularly cool! When Mario+Rabbids first came out, the Phantom of the Bwahpera was my most favorite. I love his voice and the way he was brought to life in movement and in song. 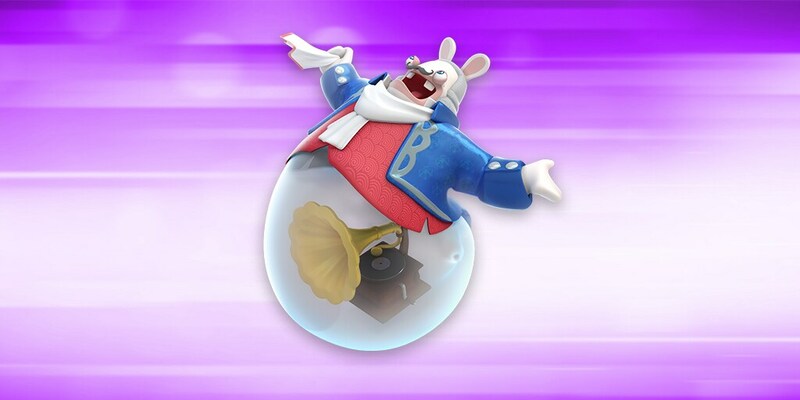 Rabbid Kong also has a special place in my heart when he was introduced as the villain in the DLC. I liked how he changed from bad to good making him all the more special. I was inspired to draw him because he's pretty cool and fun loving. What was your first encounter with the Rabbids? I first saw Rabbids when they appeared with Rayman in 2006. I received the game: Raving Rabbids 2 along with TV Party for the Wii as gifts and really enjoyed them. They were a lot of fun to play! 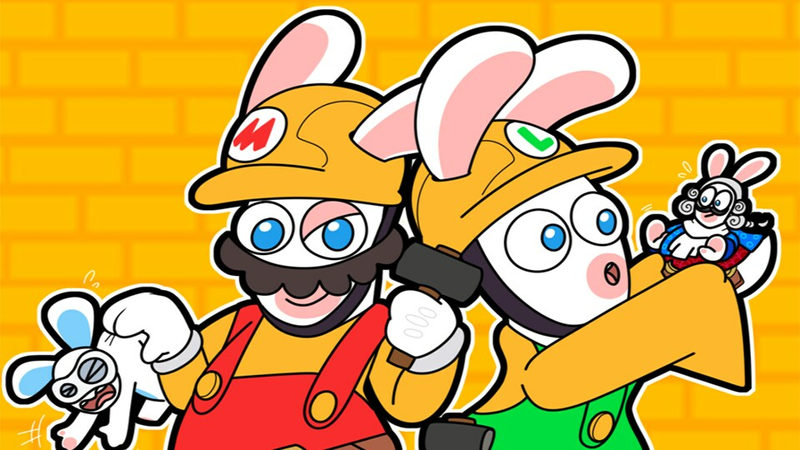 It had been a while since I had seen the Rabbids, but I have now grown enamored with them once Mario + Rabbids was released. Now I think they are very cute and hilarious thanks to the game. I truly love them with all my heart! 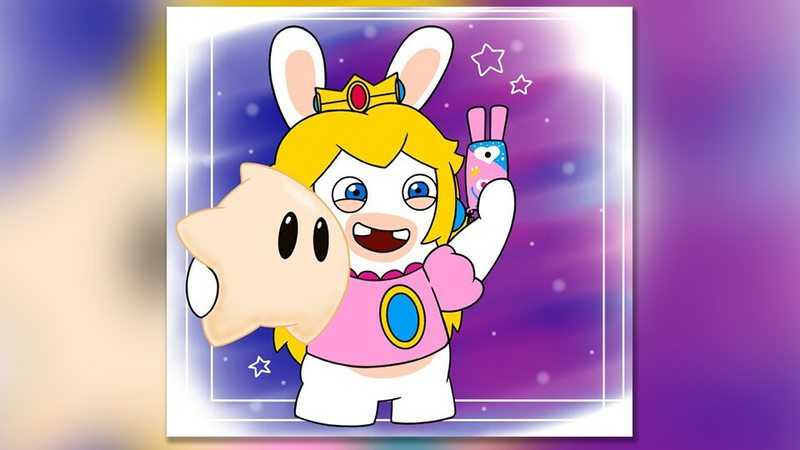 What is it that draws you to Mario + Rabbids: Kingdom Battle? 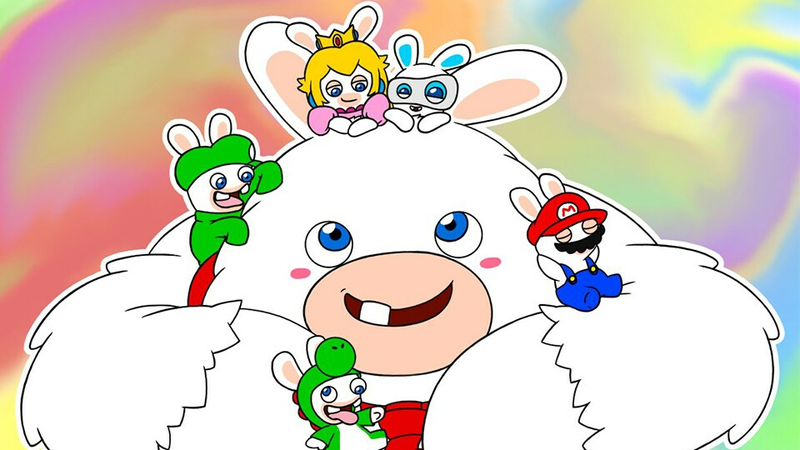 When I first saw Mario+Rabbids: Kingdom Battle, it looked very entertaining, and the music composed by Grant Kirkhope was phenomenal, and it goes so well with the game! I really enjoyed the cutscenes and characters because they were hilarious and heart-warming. I would like everyone to check out this game, and I hope they enjoy it as much as I do! When did you first get in to creating art and have the games you play always factored into your work? Not to toot my own horn but I've always been artistically talented. My abilities were first noticed through my artwork in preschool. As I grew, and through classes I had taken in school, my art was featured in local art shows and in a calendar for the local school district I attended. As my interests in gaming grew, I would expand on my love for art and create pieces related to my favorite games. We love your plush toy creations! How long does it take to make these? 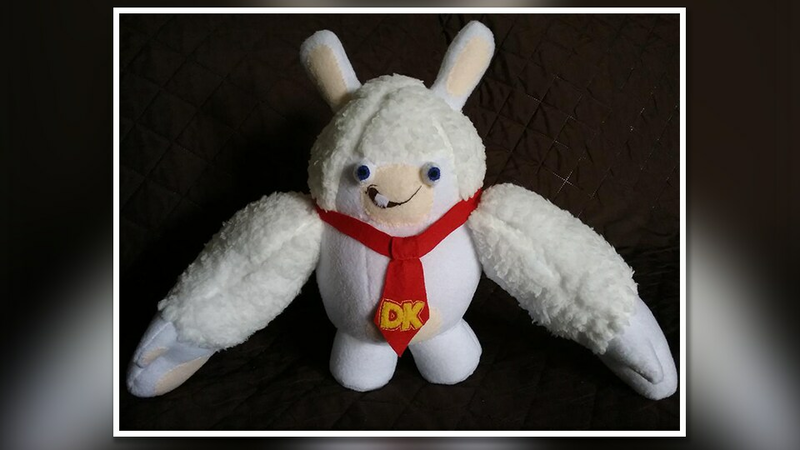 The attention to detail on your Phantom and Rabbid Kong plushes is fantastic! When I was around 15 years old, I took up sewing making small gifts for friends and family. Sewing relaxes me, and I enjoy it as one of my hobbies. I use several images of characters I like then create them in plushie form. All of my stuffed creations are sewn by hand without a pattern. They literally start through these images in my mind and move to my fingers. For example, my Phantom took me about 3 or 4 days to complete working on it a couple of hours a day. I am so happy to know they are enjoyed and thank you for the compliment! Where is the best place for the community to see your art? You can find me on DeviantArt, and I do share some of my work on Twitter. My username on DeviantArt is DrawingStar12, and my Twitter username is PinknWhiteBat12. I am also on YouTube. There I share other creative ways to express myself. My username on YouTube is SuperShark415. That name comes from my mom because it was her old account that she gave up because she didn't know what she was doing! My mom's okay with me sharing that story. Thank you again for this opportunity and for being such a wonderful and inclusive organization. It really means so much to me!